This month, we feature the busy and ever-expanding practice of Melbourne-based Dutch artist Manon van Kouswijk. 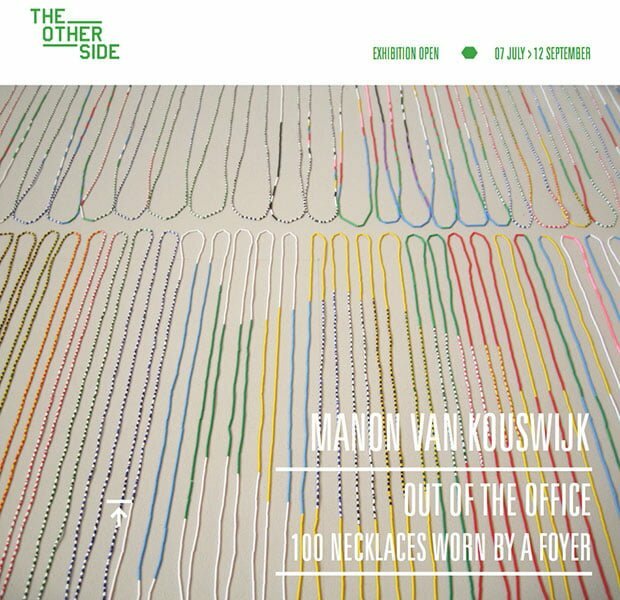 This Friday evening from 5 til 7pm, join Manon for the opening of her exhibition Out of the Office: 100 Necklaces Worn by a Foyer at The Other Side, a practice-led exhibition space situated in the entry foyer of Paul Morgan Architect’s Design Studio at Level 10, 221 Queen St, Melbourne. Manon’s piece Pearl Grey (necklace and saucer) was also recently acquired by Musée des Arts décoratifs, Marseille.